The first major hurdle that most first-time home buyers face is saving up the 20 percent down payment typically needed to purchase their home. Even as the average salary improves along with job market gains in recent years, such improvement still isn’t sufficient for many U.S. households to afford a down payment. Fortunately, government housing authorities both in the federal and state levels have created programs to assist first-time home buyers. Many of these programs are offered to help relieve the housing affordability problem. Don’t feel left out if you’ve already bought a home. If you lost your residence during the last housing recession in 2007, for instance, you may now qualify as a first-time home buyer. A three-year minimum of non-homeownership for either you or your spouse makes your household eligible for housing assistance. A divorcee who only had joint homeownership with his/her former spouse may also qualify. Nonetheless, there are limits as to who can qualify. Home assistance generally covers very low up to moderate-income groups only. Another limit is the property value which can be bought under the first-time home buyer programs. Similarly, these programs will deny applications for rental property investments. 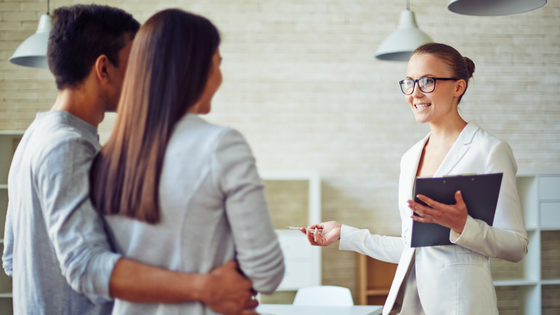 Keeping these basic qualifications in mind makes it easy to choose which among first-time home buyer programs might be the right fit for you. Here are some of the program choices available. If you have a credit score of 580 or higher, you’re eligible for a loan from the Federal Housing Authority (FHA). You may be approved for a mortgage and only have to put down as little as 3.5 percent of the home purchase price. Credit scores below 580 may still qualify for an FHA loan, but the down payment rises to at least 10 percent of the home price. With an FHA loan though, you need to pay mortgage insurance for the entire life of the loan. This is unlike conventional loans wherein such insurance requirement lapses after you’ve built 20 percent equity in your home. The National Homebuyers Fund (NHF) is offered to low- and moderate-income earners. It extends a non-repayable grant of up to 5 percent of the home loan amount as down payment assistance to those who qualify. Its FICO score requirement is also generous wherein a 640 rating could be good enough to qualify. Check with your mortgage lender if this program is applicable to you, as typically it has varying requirements depending on region or state. The U.S. Department of Agriculture (USDA) offers home purchase assistance in certain rural regions and some of their suburban areas. It is extended under USDA’s Rural Development Guaranteed Housing Loan Program and covers properties in areas with a population under 35,000. Though lesser known, this program is most generous, as it provides 100 percent financing. It may require no down payment for those qualified, and its loan payments are also fixed. Aside from its strictly rural focus, a USDA loan is only granted if your household has a demonstrable need for safe housing and has an adjusted income at or below the eligibility limit that the USDA set in your area. Expect streamlined processing if you have a 640 credit score or higher. If it’s below 640, you can still get a USDA loan provided that you submit additional documentation of having a favorable payment history. Veterans or active military personnel of the United States are qualified for 100 percent home financing administered by the U.S. Department of Veterans Affairs (VA). This program also covers members of the National Guards, along with most reservists and spouses of the U.S. military who died while on active duty. Secure a certificate of eligibility if you belong to any of the above and wish to apply for a VA home loan. You also need to have a good debt-to-income ratio and meet VA and lender credit score standards. VA loan borrowers pay a fee, but this could be waived in certain circumstances like disability arising from military service. Part of the loan is guaranteed by the VA, enabling lenders to provide special features and competitive interest rates. Down payment and private mortgage insurance are not required for a VA loan. First-time home buyers have a variety of down payment assistance programs available to them in their respective states and counties. In Florida, the State Housing Initiatives Partnership (SHIP) is a wellspring to programs initiated at the county and city levels. SHIP provides funds to local governments as an incentive for them to form partnerships producing and preserving affordable homeownership and multifamily housing for very low, low and moderate-income households. A population-based formula is used to allocate SHIP funds to local governments. As you can see there are several programs to assist first-time home buyers. To pick which one is best suited for you, work with your real estate agent who will help make the process as easy as possible!